By Eddie Lee Rider, Jr. I was recently able to get a few minutes over the phone with Bradley Wilson, lead land broker at Texas-based TerraStone Land Company. The organization is more than 35 years old and has sister divisions that can assist landowners in myriad areas. ELR: Bradley, TerraStone is based in The Lone Star State, but you also operate in several of the surrounding states, correct? BW: That’s correct. 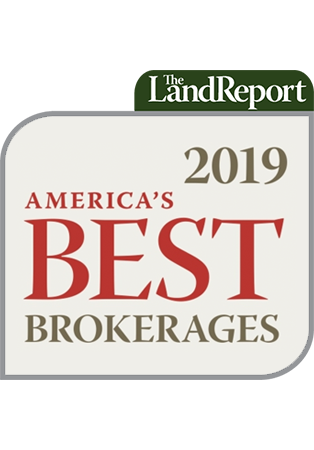 I act as designated broker for our firm in Texas, Louisiana, Arkansas, and Oklahoma. We are active in all four states, and our transactions include timberland, recreational, ranchland, and environmentally focused properties. ELR: Tell our readers about some of your sister companies and what kinds of products and services they provide landowners. to evaluate most any land investment, as well as implement short- or long-term management plans after your purchase. We can cover your due diligence needs, which can be implemented as a strategic management plan. ELR: You mentioned tremendous growth in the past 12 months: from $10 million to $40 million in business. What do you attribute that to? BW: Our expansive internal network provides us with great connections. We’ve been privileged to represent an investment group with the purchase of a 9,500-acre coastal conservation project on the Texas Coast. In addition, we’ve represented multiple sellers in the sale of several thousand acres of timberland in Arkansas and Louisiana. ELR: Tell us about a current listings folks should check out. BW: We currently have a beautiful 525-acre property listing located in Smith County, Texas. Accessed by a direct exit from I-20 and an easy drive from Dallas or Shreveport, this tract offers substantial timber volumes, lots of asphalted road frontage, and a nine-acre lake. Read more HERE.